Left-leaning Mother Jones reported Friday that President Barack Obama’s National Security Advisor, Susan Rice, ordered officials to ‘stand down’ as Russia allegedly attempted to meddle in the 2016 presidential election. Recently, Senate Judiciary Chairman Charles Grassley uncovered an unusual email Rice sent herself on January 20th, 2017– the same day as Trump’s inauguration. The email comprised of notes concerning a January 5th meeting she had with outgoing President Barack Obama, then-FBI Director James Comey, outgoing Vice President Joe Biden and Justice Department official Sally Yates, to discuss alleged ‘Russian interference’. Rice’s lawyer, Kathryn Ruemmler, told Congress that the purpose of the meeting was to discuss potential risks of sharing classified intelligence with incoming National Security Advisor Gen. Michael Flynn. “President Obama and his national security team were justifiably concerned about potential risks to the Nation’s security from sharing highly classified information about Russia with certain members of the Trump transition team, particularly Lt. Gen. Michael Flynn,” Ruemmler wrote. 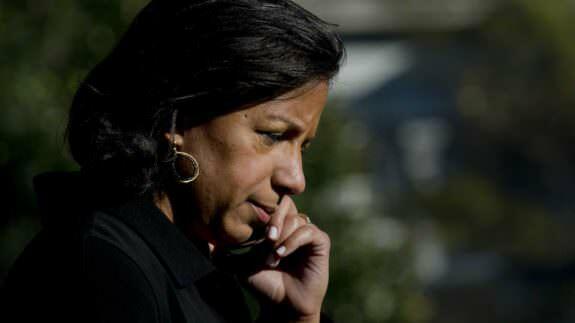 The post STUNNING=> Susan Rice Ordered NSC Officials To ‘STAND DOWN’ Amid Russian Hacking Fears appeared first on The Gateway Pundit.